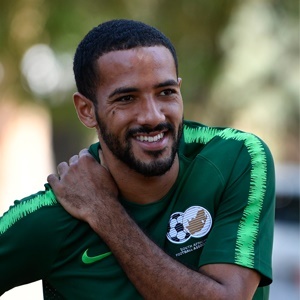 Cape Town - Kaizer Chiefs defender Reeve Frosler says he is getting back to his best form and is starting to recover from his nightmare spell with Wits. Frosler fell out with the Clever Boys hierarchy when he entered the last year of his deal with the club. It appears the reason for the falling out was that the 21-year-old was not keen to put pen to paper on a new deal, yet this has not been confirmed. Nonetheless, prior to his move to Chiefs in January, the player had been training with Wits' SAB League team, with his final appearance having come in April in the previous season. Frosler is yet to make an appearance for the Glamour Boys as he fights to regain his fitness and overall sharpness. He told KickOff website: "It was difficult...I mean, mentally...You just want to play soccer. I went to a few [first team] games at the stadium but eventually I couldn't do it anymore because I wanted to play and not sit in the stands and watch football. "When I saw the guys playing, I used to think, 'I don't want to be sitting here, I want to be on the field and playing,' and that was very frustrating. But, thankfully, my family helped me get through it, I must admit. "My Mom and Dad back home [in Port Elizabeth], we had constant phone calls, even though sometimes I would say, 'I don't want to speak to you.' There were a couple of fights with my Dad too, but I guess that's part of it. "At least we got through it as a family, and my Jo'burg family helped me as well, so they've all been there for me and supported me throughout the past few months, and that's what got me through it. "No, not really. It was just not seeing eye to eye, and eventually I got told to go down there, and it was fine. Some battles we can't fight, we just got to take it with a pinch of salt. "But I've definitely gained some confidence over the past month or two and I'm feeling in a good space, both mentally and physically as well."